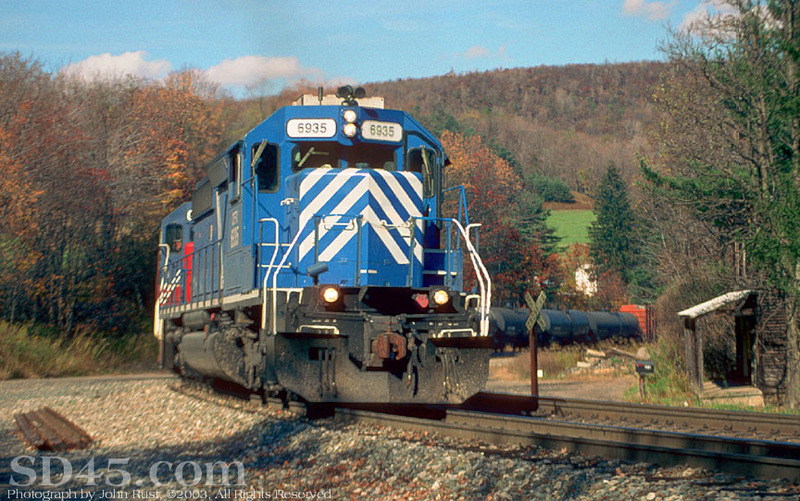 October 24, 2003, Mance PA. A westbound 353 with leased SD40's on the point. The second engine is a rebuilt SD45. If you cannot play the QuickTime movie above, you need to install the QuickTime Plug In. If you have already installed QuickTime Player on your computer, and think you have the Plug In, check the folder for your browser application. Inside this folder will be a folder called "Plugins". If you do not see a QuickTime Plugin in this folder, but you do have QuickTime on your computer, you will need to go to the Quicktime application folder, make a copy of the Plugin that is there and put it in the browser application plugins folder.